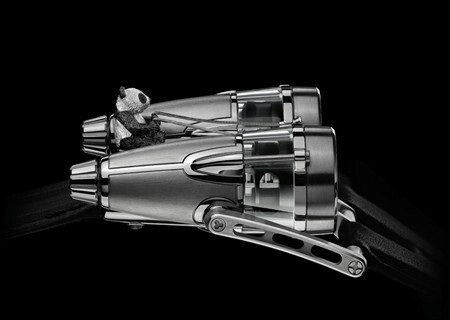 MB&F’s creation this year for the Only Watch charity auction is an ultra-cool concoction that appears to have flown out of a child’s dreamscape: a sapphire and titanium jet turbine-shaped pod, its pilot a miniature solid gold panda. A truly magical synthesis of art and cutting-edge haute horlogerie, this special edition HM4 Thunderbolt’s genesis is itself imbued with a fairytale quality. It all began when MB&F founder Maximilian Büsser gazed upon a watercolour painting of a panda bear flying on a rocket at an art gallery. 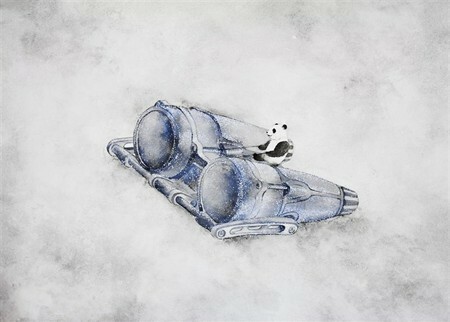 Huang first imagined and then drew a delightfully carefree panda bear flying on top of the HM4, and MB&F set about transposing Huang’s painting into a horological instrument. Huang’s original painting accompanies the HM4 Only Watch. 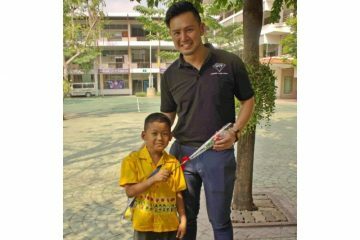 The result of the collaboration was a dreamchild (or is it dreamcub?) 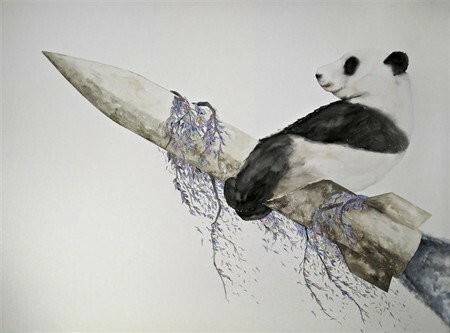 featuring a panda riding astride the HM4 jet, which he controls with reins made of twisted gossamer gold filaments. The panda “pilot” was hand-carved and cast in 18k white gold using the “lost wax” technique. 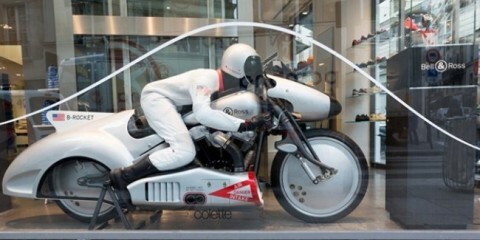 And while the HM4 Only Watch is a celebration of the freewheeling fantasy of children’s dreams, there is also a feature for those obliged to ground their feet in reality from time to time: the panda and his reins have been micro-engineered to be completely detachable so that HM4 transforms from a flying machine into aHorological Machine. The HM4 Only Watch 2011 will be auctioned at Only Watch, the charity auction benefiting duchenne muscular dystrophy research. The auction, which will be held in Monaco on September 22 under the patronage of HSH Prince Albert II, is organised every two years and brings together the best of Switzerland’s haute horlogerie makers. 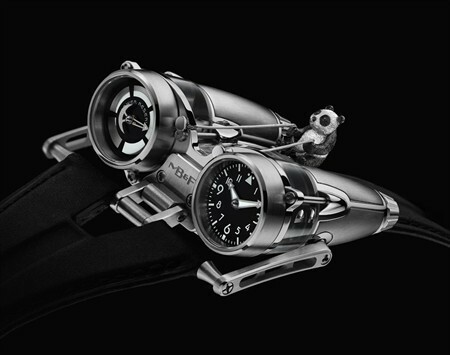 MB&F is available exclusively at Europe Watch Company in China. 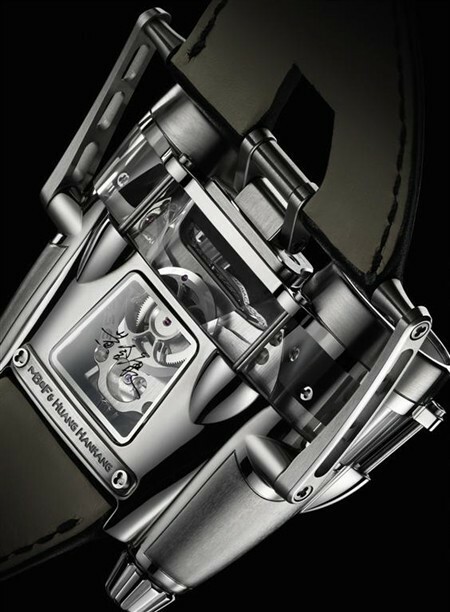 The HM4 Only Watch is accompanied by the original watercolour that artist Huang Hankang painted to express his message with MB&F’s Horological Machine No. 4.